The kenmare Chamber of Commerce & Tourism have produced a very good guide to promote Kenmare festivals and events taking place in 2013. March 28th & 29th: Commemoration of history memorabilia 1916-1922. An Antique Road Show style valuation takes place at Dromquinna Manor and includes movies, drama and exhibition. 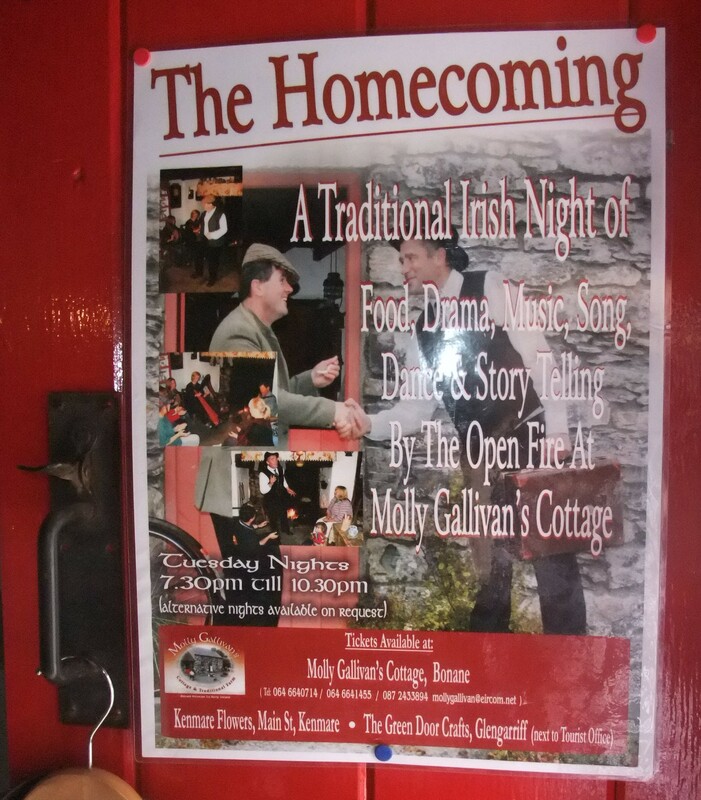 April 5th – 7th: Feile Neidin Traditional Irish music all weekend in Kenmare’s bars, streets and restaurants. June 1st – 3rd: Kilgarvan Music Festival, experience a mix of live concerts, set dancing classes and free music workshops. June 10th – 16th: O’ Sullivan Gathering in Sneem. The O’ Sullivan clan come together to experience fun and laughter. June 20th – 23rd: Gathering by the Sheen – Bonane. Celebrate a weekend of welcomes, reunions, adventure, story telling by the fire and more in Bonane. July 12th – 14th: Kenmare Food Carnival returns with a carnival style three day event. Enjoy cookery demonstrations, workshops and sample fine quality food. Aug 31st – Sept 2nd: Gangs of New York Festival. This festival celebrates triumph over adversity for the descendants of those who left kenmare and survived the famine and turbulent times in the five Points of Manhattan to succeed in American life. Millfield Self Catering Holiday home is available from 10th August to 31st August. Our welcome pack includes a bottle of wine, chocolate cake, farm fresh eggs, local brown bread, chocolates, 2 baskets of wood for the open fire in the sitting room. We wishing you a happy holiday in Kenmare. Please contact Gail O’ Sullivan, gail@kenmare-selfcatering.com for more details or to check availability. If you are planning to visit Kenmare in 2013 you’ll find a warm welcome at Millfield Self Catering Holiday Home. Millfield is available for holiday let at a special offer rate of €330 per week between February and March 2013. We will also supply you with eggs, soda bread, bottle of wine, chocolates, cake and 2 baskets of wood as part of your welcome pack. We are also running a special offer May 19th to 24th 5 days €300. Wishing you a very Happy New Year 2013. Please contact Gail O’ Sullivan, gail@kenmare-selfcatering.com for more details. Kenmare is a popular destination for retired couples who like to holiday when the children have returned to school. The weather in September is still warm. You can enjoy touring the coast roads during the day and relax by listening to live traditional music in the local pubs in the evening. There are also lots of top restaurants in Kenmare to choose from if you would like to take a break from self catering. Lost Sheep Half Iron Triathlon Kenmare 2012 is the toughest middle distance races on the triathlon circuit. The event starts on 8th September Start Time is 8.00am. It takes place on quiet country roads close to the picturesque town of Kenmare. This year’s Race is the qualification race for the World Long Distance Championships Belfort, France 2013. If you are planning to book a last minute holiday in Kenmare week beginning 1st September you’ll find a warm welcome at Millfield Kenmare Self Catering Holiday Home. Millfield is available for holiday let 1st to 14th September due to last minute cancellation. We will also supply you with fresh farm eggs, soda bread, bottle of wine, chocolates, cake and 2 baskets of wood as part of your welcome pack. For bookings and to find out more information please contact Gail O’ Sullivan by email gail@kenmare-selfcatering.com or visit Millfield Self Catering Holiday Home Kenmare website www.kenmare-selfcatering.com. 10am – 5pm Food Forums, Lectures and Debates at Pobail Schoil Inbhear Sceine. Gardening and Growing workshop for adults and children with Darina Allen, Ballymaloe Cookery School, at the Adult Education Centre, Bell Heights, Kenmare. Visit www.kenmarefoodcarnival.com for a copy of the Food Carnival Brochure. The festival season gets underway this month and there are no shortage of exciting events for you to attend and enjoy. The Kenmare Walking Weekend returns during the June Bank Holiday weekend. Family walks are planned in addition to a range of A and B graded in Gleninchiquinn and Bonane for the more experienced walker. Listowel 41st Writer’s Week Festival. Listowel is acclaimed nationally and internationally as a place of literary excellence. Irish Bike Festival in Killarney, Co. Kerry. In excess of 30,000 visitors from around the world will converge on Killarney for the 6th Ireland Bike Fest Killarney 2012 which promises to be bigger and better than ever – a must-attend event. For Irish Music love make your way to Milltown, Co. Kerry for the World Bodhran Championships. Dingle Adventure Races, a one day Multi Activity Adventure Race consisting of Bike, Hike, Run and Kayak. The 30 mile/ 48km course will take you to some of the gems of the Dingle peninsula, Co. Kerry, Ireland. Tralee Garden Festival, with bands and lot of activities for families. Is hosted in the spectacular surroundings of Tralee Town Park and rose garden. Fleadh Cheoil Chiarra is an annual festival of Irish traditional music, song and dance returning to Ballybunion, Co. Kerry after 50 Years. Why not book a self catering holiday at Millfield in Kenmare and enjoy the best festivals and entertainment that Co. Kerry has to offer. Sunday 8th April walking to Mangerton from Kilgarvan and 15th April Mullaghanish, Sunday 22nd April Caherbarnagh and 29th April Camping Caherciveen. Check out the Kenmare Walking website for more details or email them at committee@kenmarewalking.com. 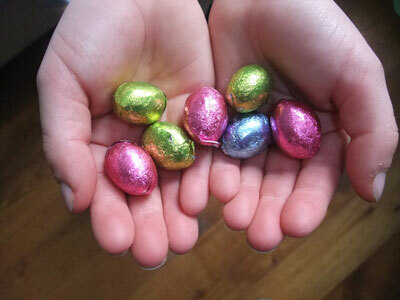 Easter Sunday Family Egg Hunt at Reennagross park near Kenmare Pier, 1.30 pm sharp. Entry fee €5 per family. In aid of Kenmare Tidy Towns. This is a charity fundraiser , organized by Kenmare Tri. The Jack and Jill Kenmare Run is a family friendly event and kids, buggies, grannies and doggies (on a lead) are welcome. The run an annual event, is a 10-kilometre charity run or walk in the surroundings of Kenmare town. It starts in the town centre, and heads north. You can enjoy a great view of the town and Kenmare Bay from the top. ‘Monies’ raised in at the 2011 event were donated to The Jack and Jill Children’s Foundation and Kenmare Branch Kerry Mental Health. If you are planning to visit Kenmare in April, you can enjoy a ‘home from home’ experience while staying at Millfield. Please contact Gail O’ Sullivan gail@kenmare-selfcatering.com or view Millfield’s self catering holiday home prices for 2012 for more details. A picture can speak a thousand words! Jessica K. Price and her family stayed at Millfield Holiday Home Kenmare during the month of October 2011. Jessica had a wonderful time in Kenmare and she took the opportunity to take fantastic images of Kenmare and the surrounding countryside. The photos are so good we have uploaded a sample of them to share with you. We are very pleased and proud to receive great comments, positive feedback and recommendations from all our visitors who stayed at Millfield self catering holiday home in Kenmare, Co. Kerry during 2011. Some have returned for a second time. Thank you to our guests who have posted comments on Trip Advisor for Millfield Kenmare . The 15th August is always a popular fair day in Kenmare, Co. Kerry. It is the one day in the year when farmers and animal owners can bring their cattle, horses, chickens, sheep and trade them in the streets. There are multiple stall holders selling their wears and the whole town is full of colour and festive cheers. Here is a collection of some of the photos we took on the August 15th 2011. 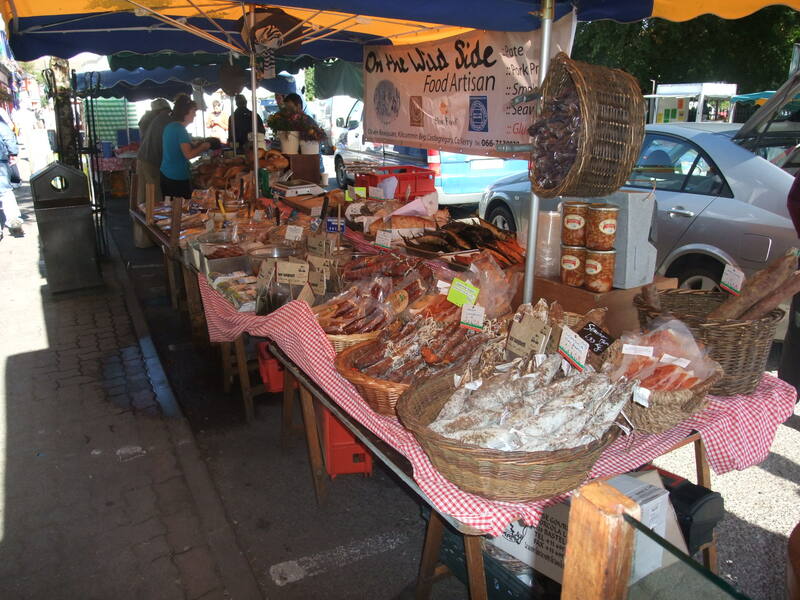 Kenmare Farmers Market takes place every Wednesday in the Square. 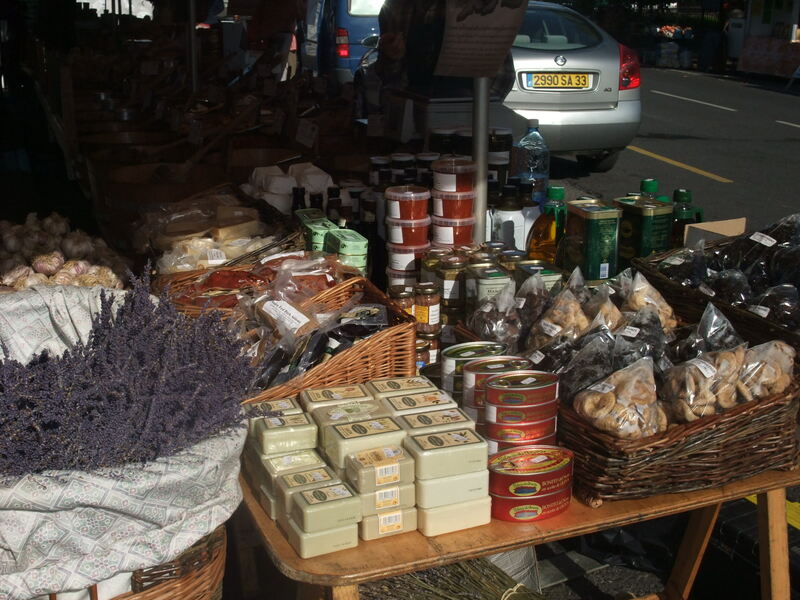 Local speciality food, craft, plants and produce makers setup stalls early to sell their tempting wares. It is a popular day for self catering holiday makers staying in Kenmare to stock up on and sample local quality food. You will also find unique gifts to take home to family and friends.